You just joined your dream business school and suddenly you are face to face with the prospect of securing a finance summer internship without too many hours spent in the classroom yet. It's understandable if you are filled with trepidation, especially since you are surrounded by such talented batch mates. We are here to complement your preparation with this finance placement prep course which will arm you with the right resources in order to impress the toughest of interview panels and get noticed ahead of your peers. On completion of this course, you will be able to: 1. Select the right role or profile you wish to work for, and prepare accordingly. 2. Bridge the gap in your knowledge by learning core finance management concepts. 3. Plan structured and clear answers to basic interview questions. 4. Answer questions about various roles and functions during interviews. 5. Convert your summer interviews into offers. 6. And while going through all of the above, understand how each concept will be tested and questioned during your interviews. 7. Learn the best practices for everything - from researching for a company to looking your best during the interview. From making your CV stand out to how to answer questions like "Tell me about yourself." A Merit scholarship holder at IIM Kozhikode, Madhur has experience in consulting and credit rating domains. He interned with EY's Transaction Advisory Services, where he was a part of the Corporate Finance Strategy (Parthenon-EY) team. 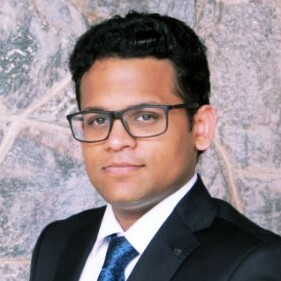 Post MBA he has joined CRISIL in April 2017. Apart from MBA, he also holds an engineering degree. In his leisure time, he likes to travel and learn new languages. The Konversations Pro Team includes alumni from reputed colleges like IIM Indore, XLRI and MICA. The team jointly has several years of content writing and content production experience. These are the Pro's who add a unique flavour to make each course an engaging and fun experience.